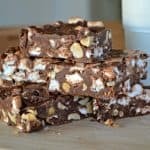 Peanut Butter Rocky Road – peanut butter and semi-sweet chocolate chips melted and mixed together with peanuts and mini marshmallows make this the sweet crunchy treat you’ve been waiting for. It’s tough to eat just one piece! 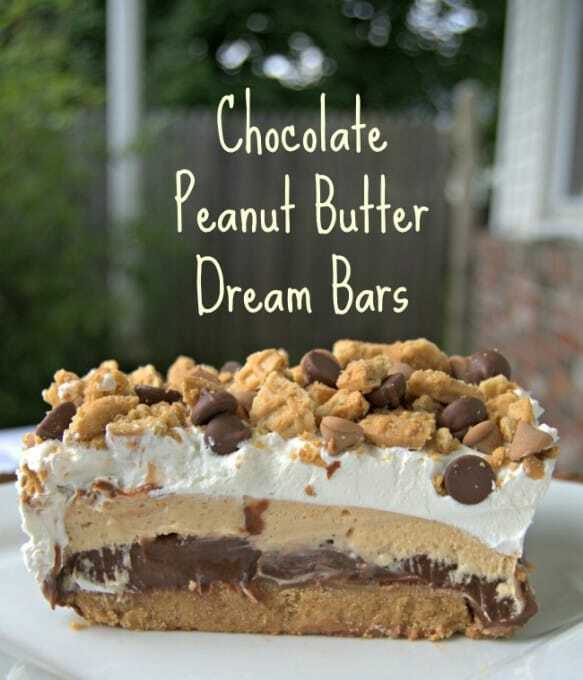 Peanut butter, chocolate, marshmallows and peanuts. (Now I’ve got the ‘I’ve Got Rhythm’ song stuck in my head 😉 ). 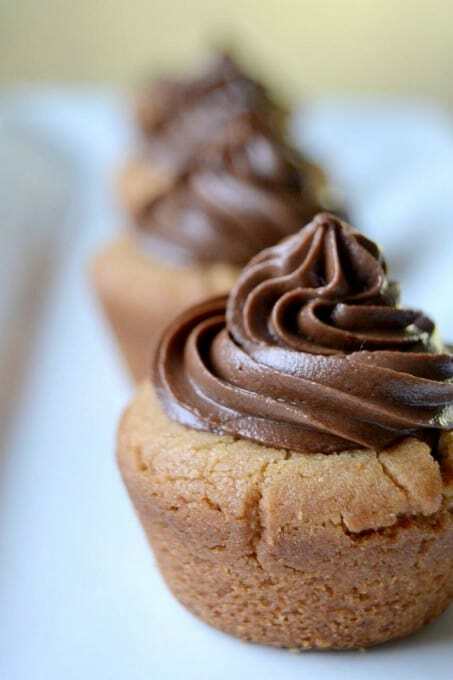 I got this recipe from my mother-in-law except hers called for butterscotch chips and I used peanut butter instead. In the almost 25 years we’ve been married, I don’t think I’ve ever made these. So, you can imagine how excited the Mr. was when I made them. First words out of his mouth, “Man, my mom used to make these all the time!” You can imagine how excited he was to be eating them again. Butter a 9 X 13-inch baking dish. 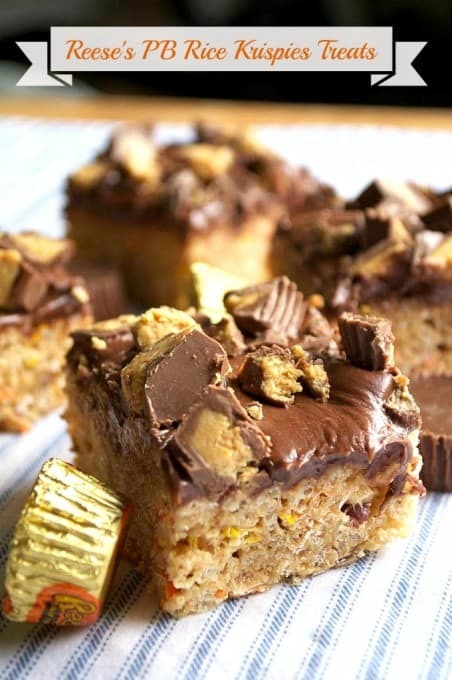 In a large sauce pan, combine the chocolate and peanut butter chips, and butter. Cook on low heat until melted and well combined. 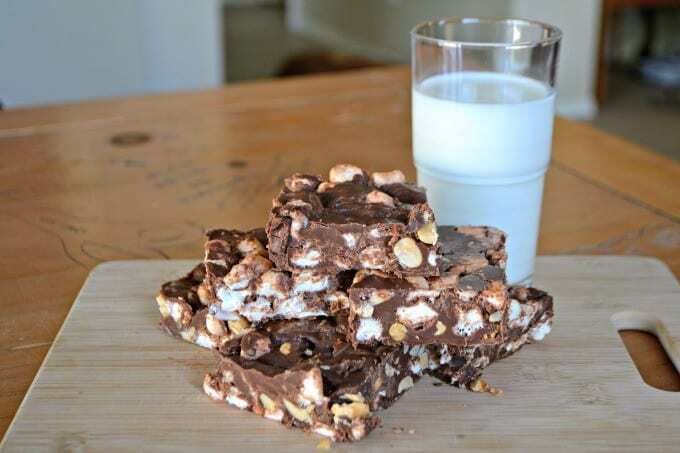 Remove from heat and miix in marshmallows and peanuts. Pour into the prepared 9 X 13-inch pan and evenly spread. Store any unused portion in the refrigerator. 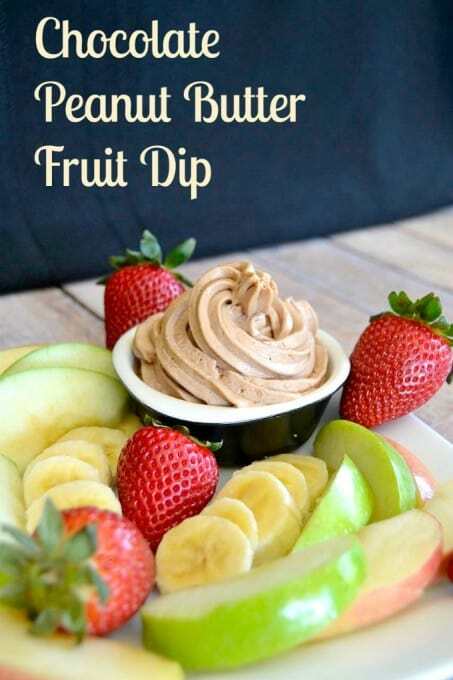 We’ve got a new favorite snack at our house! 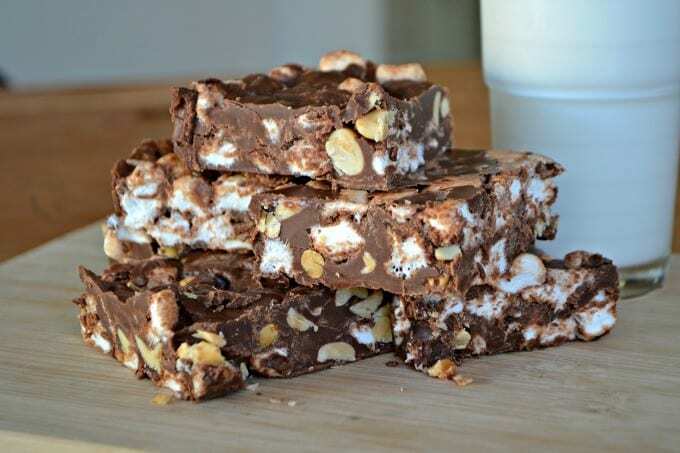 I rate everything I make on a scale of 1 – 4 and this Peanut Butter Rocky Road earned 4 rolling pins! A glass of milk and a few of these babies and my husband is good to go. He was one happy camper eating these again. You can bet I’ll probably be making these a couple times a month. They’ll be a good pick me up when he’s at work. 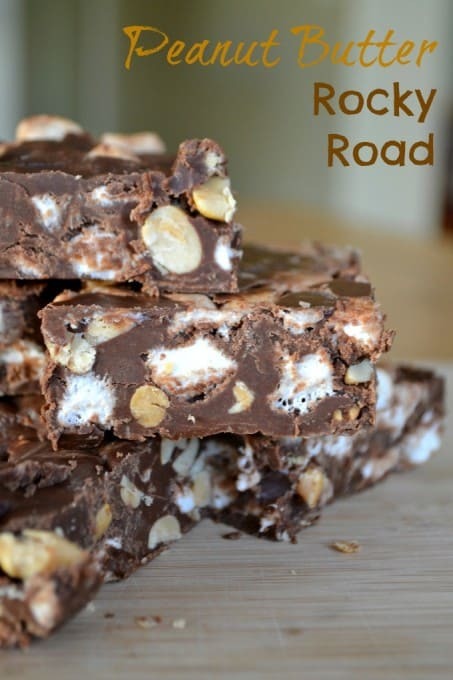 I love anything ‘rocky road’ — all that rubbly texture looks irresistible! Thanks, Sue! They were a wee bit addicting, so had to watch myself.